5100E UTILITY TRACTOR W/H260 LOADER. 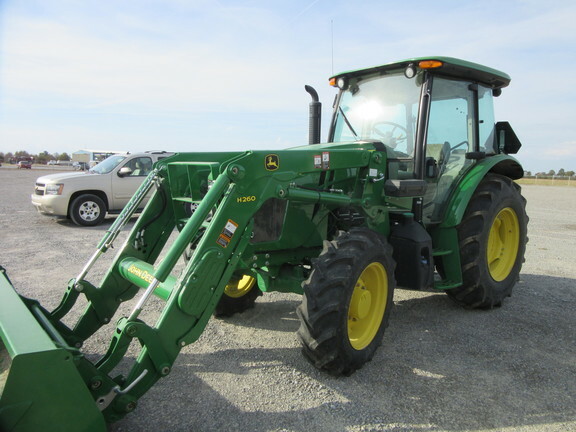 24/12 transmission, standard cab, air seat, corner post exhaust, triple rear SCV, dual mid SCV, 18.4-30 R1 rear tires, MFWD, 12.4-24 R1 Front tires, loader ready package H260 NSL LOADER. HOOD GUARD, 73" HD bucket, 1P0H260XPGD021309. 60 months / 2000 hours comprehensive warranty on the tractor. Original Warranty March 27, 2020, Extended Warranty March 27, 2023, Comprehensive warranty 60 months / 2000 hours, $250 deductible.